Over the last five years we have worked with hundreds of kitchens of all sizes and styles. In catering sites, quick service restaurants, large hotels and cruise ships we are now saving 15 million meals a year. During our journey we’ve learned some valuable lessons, and these can help optimise your kitchen’s workflow to save you time and resources. Today we speak with Tjalling van den Burger, Business Development Executive at Winnow’s Dubai office. With a passion for food and technology, Tjalling has been helping the UAE’s hospitality sector achieve its target of saving a million meals before the end of 2018. Why were you drawn to hospitality, and where did your hospitality career begin? My passion for food was the reason I wanted to work in the hospitality sector. From a young age I developed a strong appreciation for food and wine through visits to my grandfather’s house in the Perigord area of France - this is the region famous for foi gras and truffles. When I was just 16 I started work as a waiter at a Michelin-starred restaurant called Calla’s in Den Haag in the Netherlands. I ended up becoming the assistant sommelier, and eventually left the restaurant to go to university to study hospitality management at Hotelschool The Hague. This exposed me to all the different aspects of the hospitality industry, and I realised that I wanted to follow a career that would combine my interests in hospitality, business management, and technology. How did you end up in Dubai as Winnow’s Business Development Executive for the MENA region? Straight after university I joined a food startup called HelloFresh as a product developer, and I later joined Apple’s graduate programme. I learnt about Winnow through my girlfriend's network in Dubai. 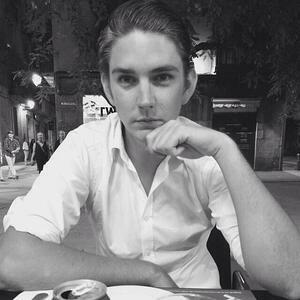 I immediately got in touch with Ignacio Ramirez, Winnow’s Director for MENA, who was looking for a Business Development Manager at the time. On the back of our shared passion for food and technology I ended up getting hired to look after business development for the MENA region. I have always worked for mission-driven companies, and the fact that Winnow’s mission is so central to its work was very attractive. In addition, Winnow’s product allows me to combine my love for food, the hospitality business, and technology. I am very happy to be here, tackling the issue of food waste and building relationships with hospitality market leaders. By far the best part of my job is meeting so many talented chefs and managers, but it is also amazing seeing the passion and vision of the senior executives who run these businesses. For me, it’s fantastic to create something more than the traditional client and supplier relationship. At Winnow, we are building long-lasting partnerships with our clients and it is really exciting to be part of that. It has also been impressive watching the rapid growth of our client base here in the Middle-East and North-Africa, even over the relatively short time that I have been with Winnow. Soon after I joined the team, I heard from one of the chefs we work with that he didn’t want to reduce the portion sizes of the Middle Eastern section of his buffet. Winnow’s analysis, however, revealed that 95% of the food displayed on the Middle-Eastern buffet was being thrown away every single day. I then realized how difficult it is for chefs to please their guests while protecting their margins at the same time. We are on the brink of working with a couple of the largest hotel chains in the region, and that journey has been incredible. We have developed strong relationships, and the hotels trialling the Winnow system are seeing great results. It has been so rewarding to see them join the movement against food waste, and I am sure we’ll be able to share their achievements soon. Hospitality is deeply ingrained in Middle-Eastern culture, and the hotels here should be very proud of themselves. They have played a pivotal role in putting the region on the map as a tourist destination, and the Middle East is now a popular and growing tourist destination that welcomes visitors from all over the world. Over the next five years I expect to see a growth in mid-market hotels to cater for travelling millennials, accommodating visitors who can’t afford to stay in luxury hotels. In addition, Expo 2020 in Dubai will require a wider mix of luxury, mid-market and budget hotels to attract more travellers coming to Dubai. 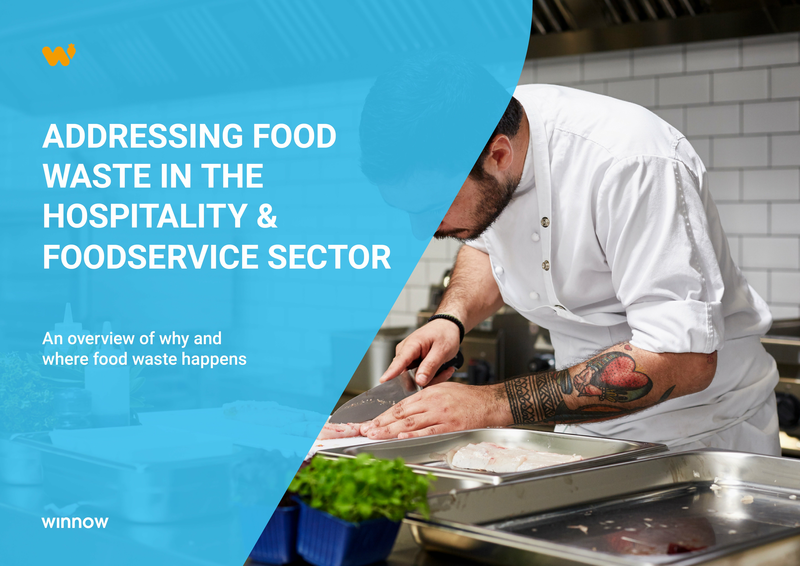 What is your advice to food businesses looking to reduce food waste? In the hotel sector, both the sales and marketing and the revenue management team have access to an enormous amount of data to help them sell the right room to the right customer at the right time and for the right price. I believe that an equivalent usage of data and technology is lacking in the kitchen, and this needs to change. It is really important for chefs and GMs to leverage data to find out what is really going on in the kitchen, especially when cooking in advance for buffets. That way, chefs and managers will be able to make significant savings while doing the right thing for the environment.